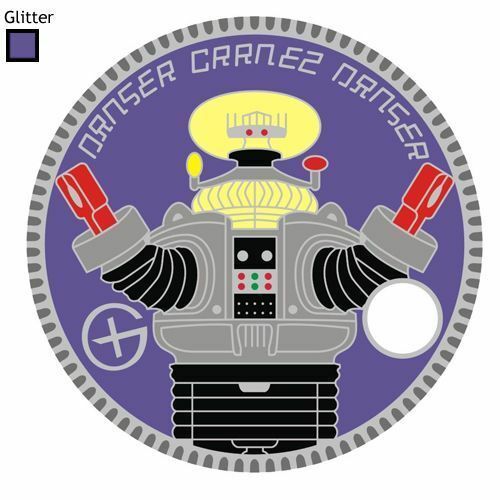 Lost in Space Robot Pathtag - Danger... I've got glitter... Danger! Pathtags are considered to be a less expensive alternative to Geocoins. Pathtags are not trackable items which move from cache to cache like a geocoin. Pathtags are personalized swag items which you can trade and collect. So if you find a pathtag in a geocache, do a happy dance and add it to your collection... it is yours to keep! Log it on Pathtags.com to find out who you "crossed paths" with. Better yet, create a pathtag design of your own to place in caches or trade with others.